Could Your Drink Taste Different Depending on Where You Drink It? Have you ever been on a vacation where you enjoyed a glass of wine so much that you decided to bring a bottle back with you, only to be disappointed that it doesn’t taste as good as you remember when you drink it at home? This higher-level processing causes us to associate our perceived enjoyment of a sensory experience with more than strictly sensory input. More simply put, this is what causes us to believe that in a particular moment or setting, we enjoy something more or less than we actually do once that moment or setting changes. 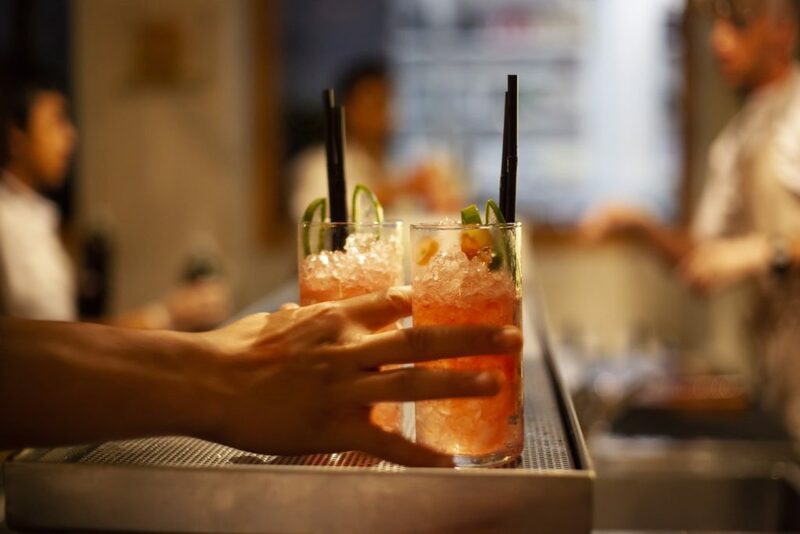 Posted in Bartender News, Mixology, Whats Hot | Comments Off on Could Your Drink Taste Different Depending on Where You Drink It? Have You Tried a “Nocktail”? Have you ever wanted to enjoy the presentation and flavour complexity of a hand-crafted cocktail, but without the effects of the alcohol? Welcome to the world of “Nocktails” or “Mocktails”. These beverages share a sense of sophistication with their alcoholic counterparts, but lack the addition of actual liquor. Nocktail recipes typically combine various juices, syrups, fresh ingredients, sodas, and even non-alcoholic/simulated spirits to provide the consumer with a complex and diversely flavoured, non-alcoholic beverage alternative to traditional soft drinks. Due to a growing demand specifically among Generation X and Millenial populations, the range of non-alcoholic/simulated spirits on the market is increasing. A brand called “Stryyk” has just launched 2 new zero-proof distilled spirits in the UK, Stryyk “Not Gin” and Stryyk “Not Rum”. Stryyk claims their zero-proof spirits contain “all of the spirit, with none of the alcohol”, and both varieties also contain zero sugar, zero fat, zero carbs, and zero artificial flavours. Unique from it’s competitors in the non-alcoholic sector, Stryyk claims their spirits provide intense flavour profiles that make them a satisfying alternative to alcohol when served neat or added to a Nocktail. Posted in Bartender News, Mixology, Whats Hot | Comments Off on Have You Tried a “Nocktail”? Would You Try the World’s Deadliest Cocktail? Hirezake is an interesting cocktail that’s little known outside of Japan. 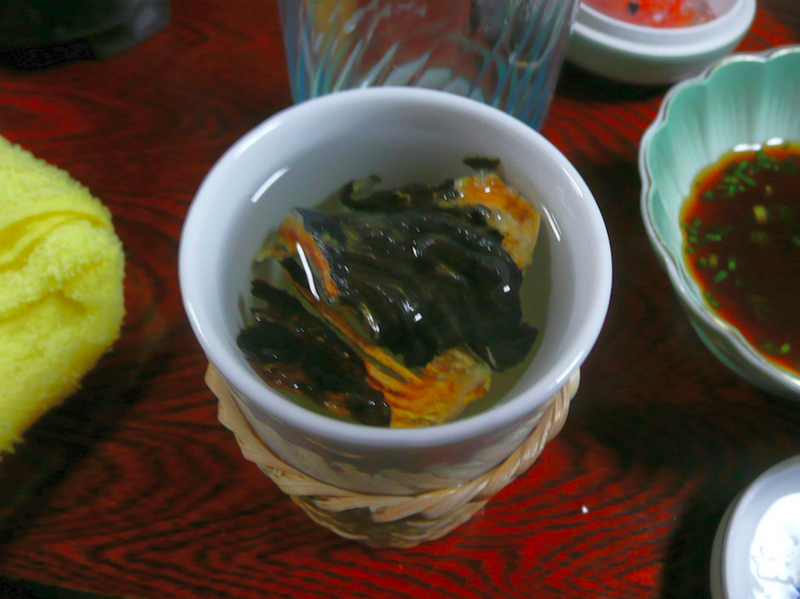 Made from the infamously poisonous Fugu fish (also known as the Puffer fish or Blowfish), this risky beverage is prepared by charring dried Fugu tail on a grill and steeping it in hot sake. The ancient savoury beverage is said to be rich in umami flavour and it’s very popular in Japan during the winter months. Although the drink is significantly less popular outside of Japan, you can order Hirezake at a small number of American restaurants that are serving it. But beware, because consuming Fugu that’s not expertly prepared can kill you! Due to the fact that the fish contains toxins that are hundreds of times more poisonous than cyanide, chefs must obtain a special license verifying that they possess the skill required to properly clean and serve the fish. On top of that, any restaurant looking to serve Fugu fish must also obtain a license verifying it’s safe for consumption. Posted in Bartender News, Mixology, Whats Hot | Comments Off on Would You Try the World’s Deadliest Cocktail?